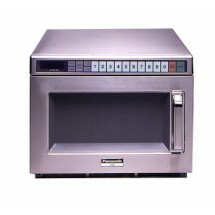 Microwave ovens provide a unique opportunity in the commercial kitchen to perform a variety of tasks. From actually steaming and cooking food, to defrosting, rethermalizing and reheating foods, microwave ovens are a real gem in any kitchen. They are also perfect for cooking smaller items like baked potatoes, heating up soups, or warming up dinner rolls and breads. They have a small footprint, can be plugged in anywhere, do not require ventilation and do not heat up the area around them, making them suitable for any environment from large commercial kitchens to food trucks to concession stands. With today’s technological advances enabling microwave ovens to feature multiple integrated functions, there are numerous, multifunctioned microwave ovens on the market available for venues looking to expand their menu options. 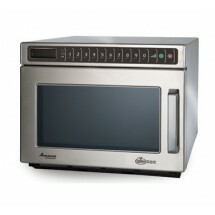 Microwave ovens are used preliminary for heating up food during food service. These dishes will then be finished off in the oven, on the grill, or by using some other heating method. However, some microwave ovens, such as the Amana commercial microwave oven described below, uses multiple heating methods to enable cooks to bring food from the microwave straight to the customer, without compromising on texture or appearance. 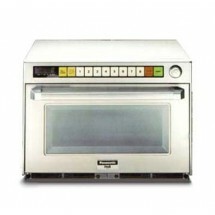 For the restaurant kitchen looking to add a microwave oven to its cooking arsenal, be sure to take into account how much you will be using it, what types of foods you plan on using it for, as well as output and speed requirements.